Cambodia’s oldest newspaper The Phnom Penh Post is set to enter a new phase after its parent company was sold yesterday (May 4) to a Malaysian public relations company with links to the Cambodia government and rival Cambodian publisher Mohan Tirvgmanasam Banddam, better known as T Mohan, publisher of the rival Khmer Times. Staff of the almost 26 year-old publication were reportedly told of the sale yesterday (May 5), while participating in a river cruise hosted by outgoing former majority shareholder Bill Clough. The sale was announced in a statement by Mr Clough posted to the Facebook page of Cambodia’s General Department of Taxation (GDT) last night, describing new owner ‘Siva Kumar G (sic) (the correct spelling is Sivakumar S Ganapathy, aka Siva Kumar G) as a ‘well respected newspaper man, with a (sic) experienced journalist (sic) background’. While acknowledging the contributions of several individuals to the company’s success over the years, the statement also took a shot at Cambodia’s judicial system, describing the company’s ongoing legal battle against pioneering media entrepreneur and former CEO Chris Dawe as ‘extremely disappointing, and a poor reflection on the Kingdom’s courts’. According to the statement ‘action against the company’s assets has been cancelled, until the Supreme Court has heard the appeal case. Whatever the final result, the company faces no threat to its ability to continue its work’, the statement claims. While a stay of proceedings in the acrimonious court battle might allow The Phnom Penh Post to continue its work, its questionable as to how staff will react to the news that they are now owned by one of the region’s largest communications and public relations companies, Asia PR, which lists having worked on Cambodia Prime Minister ‘Hun Sen’s entry into the Government seat’ as a previous project. More intriguingly, veteran Cambodian journalist Julia Wallace tweeted that ‘in the 1990s Asia PR Publishing had backed a Cambodia newspaper edited by T Mohan, whose Khmer Times has been shown to have links to the family of Prime Minister Hun. According to the online archives of the shuttered The Cambodia Daily: ‘Mr Mohan edited the Kuala Lumpur-based English-language Cambodia Times newspaper between 1993 and 1995 and then served as publisher-editor for The Vision until it collapsed in June 2000′. Once a shining light of independent, unbiased journalism, The Phnom Penh Post has seen that reputation diminish in recent times by aggressively labelling the shutdown of The Cambodia Daily last year in the wake of a US$6.3 million tax bill as an attack on press freedom, while failing to disclose that it was also being audited by the GDT at the same time. Advertising revenue for the English-language print publication has also been abysmal, with some editions containing no advertising at all. Irrespective of what the future holds for The Phnom Penh Post there will be no taking away from it the 23 Society of Publishers in Asia (SOPA) Awards that it garnered over the last nine years, or the large number of journalists now in senior editorial positions globally who passed through its doors over the past 26 years. At a media briefing in Phnom Penh on May 18 it was revealed that the technical take-over date was May 4, not May 5 as stated in our original story. This has been rectified. An earlier update corrected the spelling of the name of the new owner of Post Media Co., Ltd., Sivakumar S Ganapathy, not Sivakumar G as stated in the Post Media Co., media release by Mr Clough. Siva Kumar G is the correct abbreviation. The story has been altered to reflect the correct formal presentation. Asia PR is one of the businesses that Mr Ganapathy owns and it is him personally who has purchased The Phnom Penh Penh Post, not Asia PR as stated in many media reports. His correct title is CEO and group managing director. 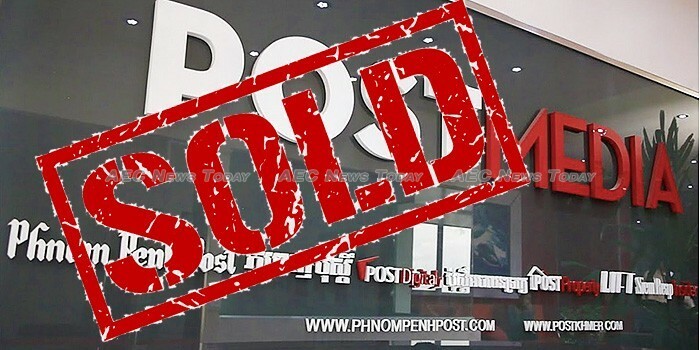 In a statement issued May 7, 2018 as a complaint to the story written by The Phnom Penh Post about his purchase, Mr Ganapathy said he did not take over Asia PR until 2011, by which time the Cambodia Times had already closed. 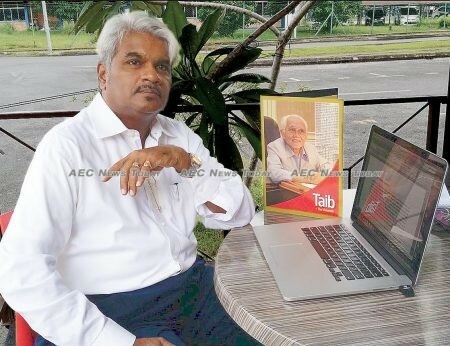 Mr Ganapathy denied any link with either the Malaysian or Cambodia government, nor Brigadier General Hun Manith, fourth child of Cambodia Prime Minister Hun Sen.
An earlier update saw the video of former chairman of Post Media, Bill Clough, reflecting on the publications past, and future added.